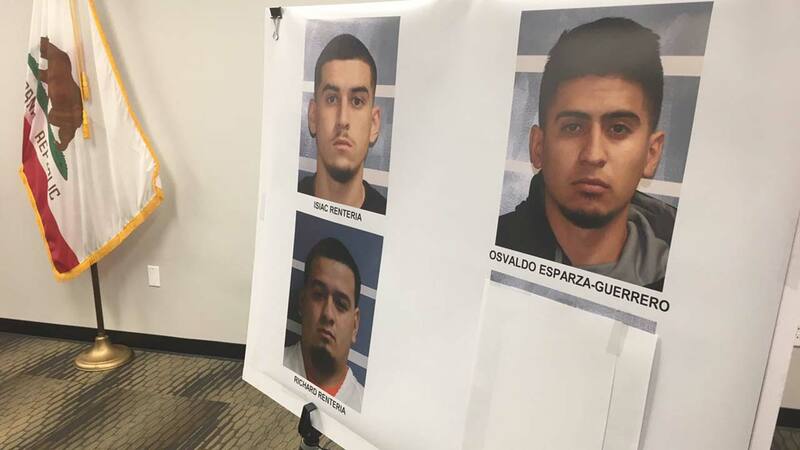 Officials said they arrested Isiac Renteria, 19, Richard Renteria, 21, Osvaldo Esparza-Guerrero, 20, and Breane Ojeda, 21-- all are from Visalia. TULARE, Calif. (KFSN) -- According to the District Attorney's Office, four people have been charged for allegedly setting the Pier Fire which burned nearly 37,000 acres and destroyed two homes. According to authorities in the early morning hours of August 29th, the suspects deliberately set fire to a stolen car which ignited the Pier Fire. Each suspect is charged with aggravated arson, two counts of conspiracy to commit a crime and two counts of unlawful driving or taking of a vehicle. Because multiple structures were burned and an accelerant was used a special allegation has been added to the arson and conspiracy charges. If all are convicted on all counts the suspects face a maximum of life in prison.